‘Fast Draw, Fast Money’–the catchy line of Karnataka state lottery–has enticed and entrapped many young men and women into the intricate web of the lottery mafia. In a short span of ten years, the lottery netherworld has looted the financial coffers of the Indian citizenry off a whopping Rs 7000 crores, through an entrenched nexus of politicians, scamsters and police officers. Even after single digit lotteries were banned by the Karnataka state government in 2007, the lottery business spread its tentacles in other parts of the country viz the immediate neighbours of Tamil Nadu, Kerala and the north-eastern states. Investigations into the Karnataka lottery scam have revealed that the lotteries were never printed on paper. Apparently the scammers had the brains to understand that printing would lead to a trail. This, however, did not stymie the free flow of their business. Bets were placed everyday without fail and their results were announced the very same day. The mastermind or the kingpin would operate out of a particular place and write numbers on chits. These chits would be distributed via coffee shops, tea booths, cigarette, pan shops and grocery stalls. The winning number would be announced by the kingpin to the buyers through agents. Due to gambling being an addictive sport, the lottery gamut became an instant hit. From being an impoverished labourer in Myanmar to owning an illegal muti-crore business, Santiago Martin is the king who rules the roost of the lottery empire. Known for his cunning craft, Martin is the epitome of a rags to riches story. After the Karnataka government banned lottery in 2007, Martin smelled the opportunity to make big moolah again. 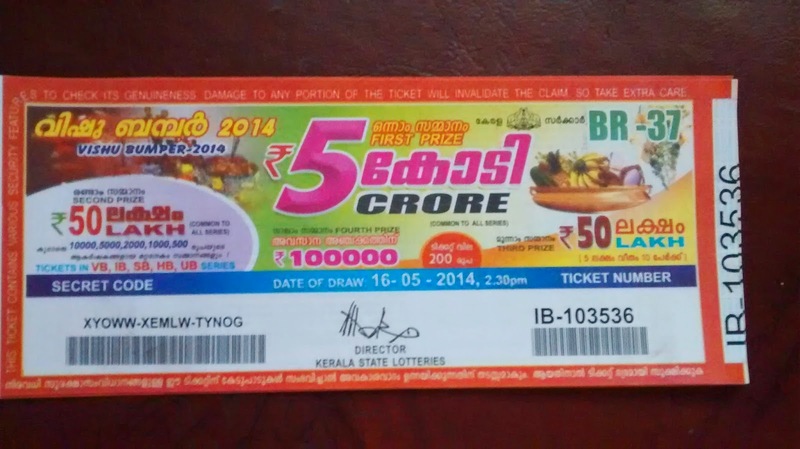 By using legal loopholes in the form of distinct laws in neighbouring states of Tamil Nadu and Kerala, Martin built a network of agents and police officials to expand the already flourishing lottery business. Martin’s scamming contributions don’t just extend to the southern states. Seven chargesheets have been filed against him, including one for stripping the Sikkim government off a mind-boggling Rs 4500 crore. According to the CBI, Martin’s firms had sold Rs 4,752 crore worth of tickets in Kerala on behalf of the Sikkim government since 2005, but paid only Rs 143 crore to the northeastern state. Martin is out on bail while the case remains pending. Pari Ranjan, a resident of Kolar district in Karnataka and a lottery agent associated with Martin Lottery Agencies Ltd since 1995, was a key member of the lottery racket. Almost, if not more shrewd than Martin, Ranjan was a calculative business-man who knew how to get through people holding important positions in the security framework. He enticed those at the higher rungs by handing out handsome amounts of money to the rank and file operating at the grassroots. In case officials were hesitant to accept money, he would attract them with expensive gifts, such as scotch and lavish stays at guest houses. In case all else failed, Ranjan would shower the officer’s family with an all paid trip to Lord Venkateshwara and sumptuous Tirupati ladoos. The Karnataka government has been embroiled in a huge controversy after it was discovered that top leaders and police officials were involved in the massive Rs 2000 crore lottery scam run by Martin and his crew. After it came to light that more than 35 police officials, including 6 IPS cadre and 3 retired DGP’s were hand in glove with the scamsters, the controversy snowballed into a conflagration. Alok Kumar, Additional Commissioner of Police, Bengaluru City, and Dharanesh, a superintendent of police in the now disbanded Excise and Lottery Enforcement Wing, was indicted by the CID for alleged involvement in the scam. It was revealed that Kumar and several other police officials had talked to Rajan at least 150 times over the past months. In fact, Kumar had known Rajan for as long as 8 years. Furthermore, Kumar had gone out of his way and warned an inspector against arresting Rajan. Martin’s connection with influential leaders is well known. DMK leader K Karunanidhi’s cosy relationship with Martin can be understood clearly through the production grant of his ambitious film Ilaignan to Martin. Not one to restrict his relations to a single party, Martin is believed to have donated Rs 2 crore to the trove of CPI-M through its mouthpiece Deshabhimani. Martin’s wife Leema Rose, an office bearer of Indiya Jananayaka Kachi, a constituent of the BJP-led NDA in Tamil Nadu, has also shared the dais with Prime Minister Narendra Modi, raising suspicious glances. Charles Jose Martin, Santigo Martin’s elder son is also a member of the BJP. He had been offered the membership at a small event in New Delhi a few months ago. Although the case is under CID investigation and Martin’s close aide Rajan has been arrested, no case has been registered against Martin by the Karnataka government. “No one complains formally (about the illegal lottery racket) because of the fear of Martin and his men”, says Anuj Sharma, DIG and Inspector General of the West Bengal CID. The reason why Martin escaped unscathed is his well-established networking ability. He formed excellent relations not only with Southern state leaders but also with states in the Northeast as well as with Bhutan and Nepal, where he was the sole distributor of lotteries. An year ago, a truckload of lottery tickets belonging to Assam, Meghalaya, Bhutan, Sikkim among other states was raided. However, police could not go deeper into the case due to lack of availability of the major players. “Their network is more swift than that of police”, said a source to NewsGram. Other sources contend that the sleuths meant to raid and arrest lottery agents were doing their duty just for the namesake, booking cases just for the record. Irrespective of the police inability and detective inefficiency, the real root of the problem is the lack of political drive to take the case head on. Unless the upper echelons of the lottery business are brought to book, the disease will keep spreading its wings through other aides. To check its mushrooming requires political will.